After many staff meetings among members of the marketing team, the decision was made to change the name of the product from “Sandwich Shapers” to Sammich Shapers in order to increase its appeal among the all-important Honey Boo Boo demographic. 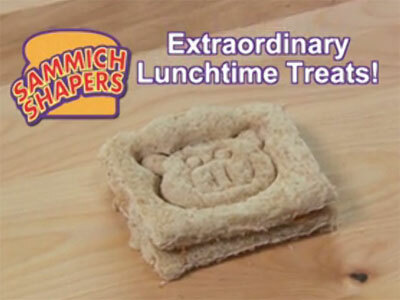 Sammich Shaper is a Home Ec teacher’s worst nightmare. The commercial tells kids to “Pull a rabbit out of a hat, then eat them both.” But soon kids will want to eat only the “fun” animal head and throw the rest awayeffectively increasing the cost of sandwiches by 53.7%. 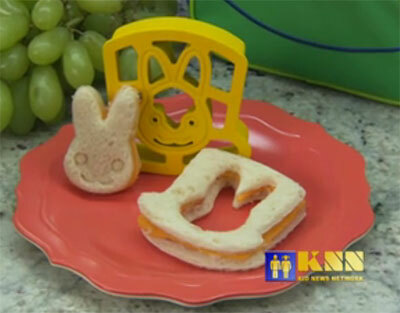 The Sammich Shaper infomercial is framed as a newscast from KNN, the Kid News Network. Props to the wardrobe department, because anyone who has ever watched a TV newscast in the last 20 years knows that no male anchorman appears on air without wearing horn-rimmed glasses and a bowtie. 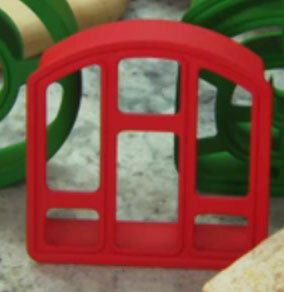 And what kind of fun shape is that one supposed to impress upon your sandwich? A cathedral radio? A Mondrian painting? No, according to the website, that particular Sammich Shaper makes a sandwich that looks like…”sticks.” The creativity never ends with these people! Let your butterfly fly free–before he ends up in your stomach!